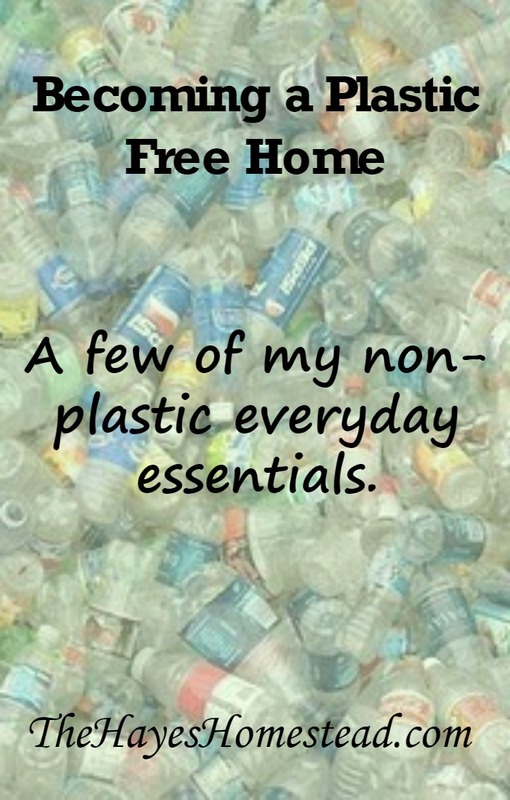 In the last couple of years we have been phasing out the plastic in our home and choosing to use more glass, metal, bamboo, cast iron, etc. I thought I'd share a few of my favorite pieces that we use regularly - most on a daily basis! First up, we have removed all of the plastic dishes for the kids. They aren't to a point where we are ready for them to use "real" plates, so we replaced their plastic dishes with stainless steel. Even once they do move up to the real deal, these will be great for camping! This one is Jason's favorite plate. We would have liked these for the kids due to the sections, but we keep all of the kids dishes in a low drawer so they can help themselves. These were just a tad too big to fit in the drawer. 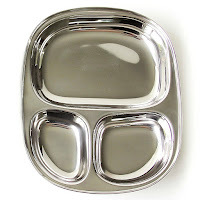 These plates are super sturdy and high quality, but they are small and the most expensive of the three. 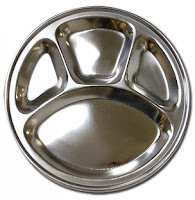 They'd be the perfect plate for a toddler, but a little too small for our two at this point. These are a steal for the price! 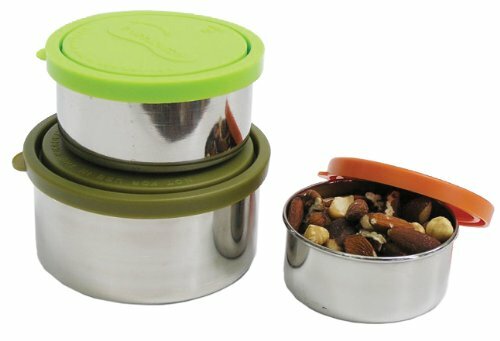 Perfect size for cereal, mac & cheese, snacks, etc. We are really happy with these bowls! These are what we replaced the kids plastic cups with. 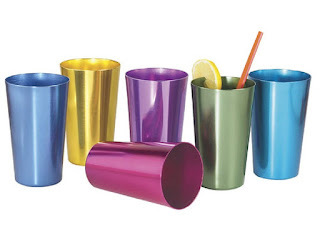 The fact that they're all different colors is an added bonus - it's easier for the kids to remember which cup belongs to them. I also love the size. The Ello brand has been my daily water bottle. The silicone sleeve helps protect it from accidental drops (which I do a lot - oops!). I have the flip top lid which I love. Push the button and the lid pops open. You can easily use it one handed - perfect for Spin Class, while running on the treadmill or even driving in the car. They also have a screw top bottle as well. 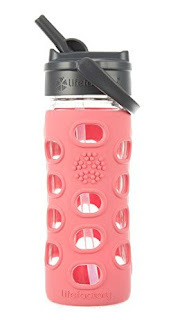 Another glass water bottle brand is Lifefactory. 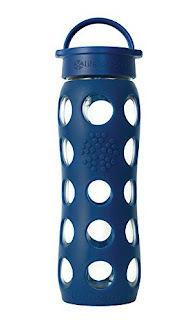 I haven't used this one yet, but have heard great things about this brand and have a friend who uses these exclusively. I recently spotted a deal on these and bought a 22 ounce for myself and a 12 ounce for both kids so I will be using one soon! 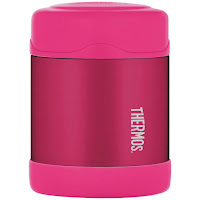 I absolutely love the Thermos Funtainer water bottles! My kids have had the 12 ounce size for a few years now and this past summer I got them each the 16 ounce. These keep water c-o-l-d!!! I have filled these with ice water in the morning and still had ice by late afternoon/evening! Now, as spectacular as Yeti cups seem to be, I just can.not cough out that much money for a cup. 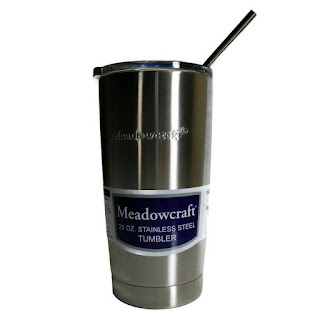 I found this tumbler by Meadowcraft and I have a hard time imagining that a Yeti works any better than this cup. 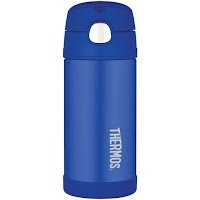 I filled this with ice and water, it sat in my car - in 85 degree Maryland weather - all day. When I got back in the car 8 hours later? There was still ice in my cup!!! No lie, people. No lie. These are a definite staple in our house! These house all of our leftovers, Jason's lunch, cheese once it's been shredded, cut up veggies, etc. 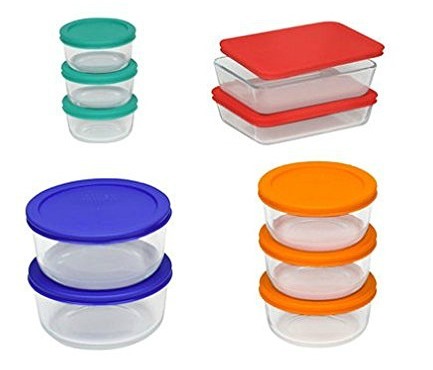 Pyrex makes these in all different sizes. Bonus - most are even oven safe! Ball Canning jars are not just for canning (although I definitely use them for that too)! 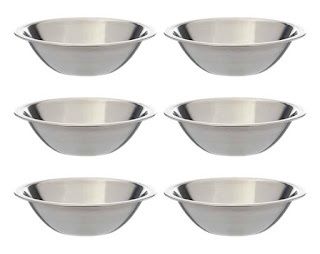 These are great for housing nuts, seeds, dried fruit, flours, etc. Once I open a bag of rice, nuts, etc. I pour the rest into one of these jars and stick it back in the pantry. I was recently approached by a glass jar company called Infinity Jars to test out a few of their jars and, in return, post a review of their product. These jars are great because they're black and block out sun or artificial light. 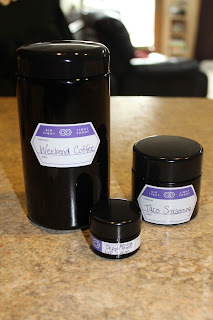 You can see my full review of these one of a kind jars here! No surprise that I'm a fan of these! 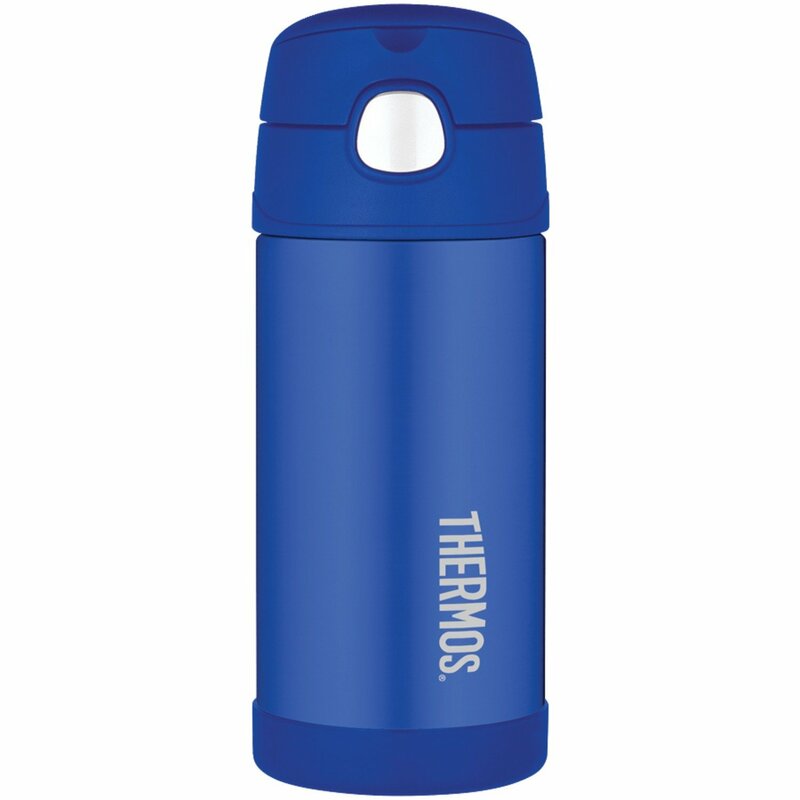 These are great for keeping cold things cold and hot things hot when packing a lunch. I use Redmond's (he has the Batman one, of course!) every day in his lunch (along with his Thermos water bottle). They're easy for kids to open and are the perfect size. And, they come in all different colors and characters. I also love these containers by Kids Konserve. They have a super tight seal which is great, but makes it a tad tricky for little hands to open, but Redmond is now at a point where he opens them without trouble. 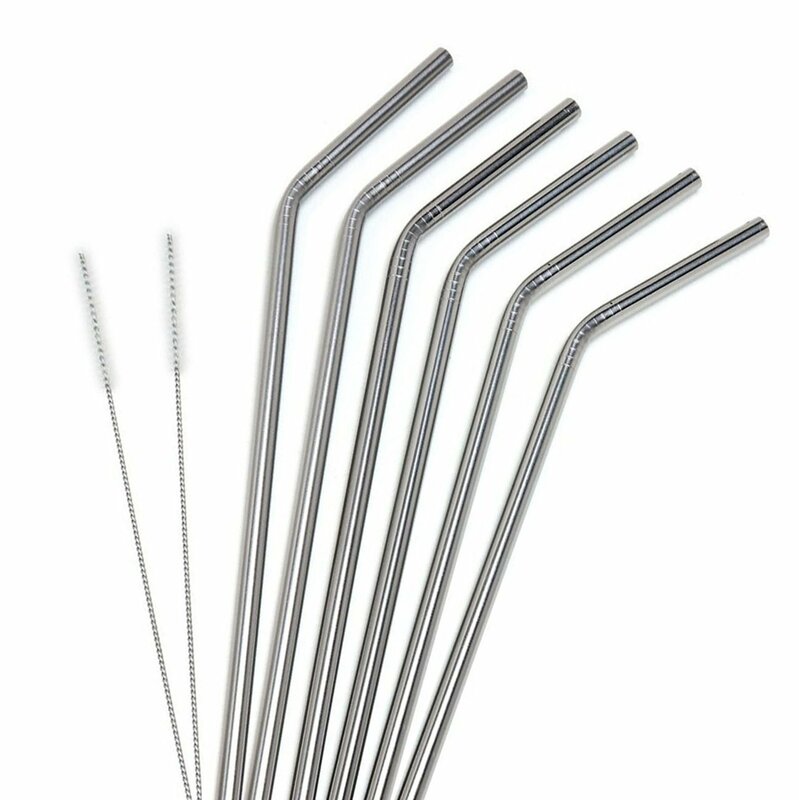 These are always in our lunch bag when we have picnics in the park. Yet another lunch box staple. These bags are great! I have two different kinds - ones with a zipper and ones with Velcro. Honestly, I don't prefer one over the other. They are great for packing in a lunch or throwing in a purse or diaper bag with some snacks. These take some getting used to, but now I love them! I have both the straight and the bent and definitely prefer the ones with the bend in them over the straight. 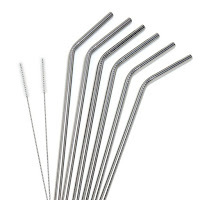 They're great for smoothies and protein shakes or for blowing bubbles in milk. C'mon, we've all done it! I have found a new obsession love and it's for cast iron. Since Christmas I have been cooking most of our meals in cast iron and I am hooked. 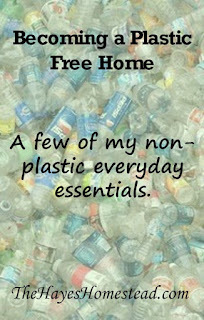 While I didn't ditch any plastic to go this route, I did ditch Teflon. And now I can't wait to add to my growing collection - there's so many amazing pieces of cast iron! I don't have all of these pieces (yet! ), but here are a few I have along with a few I'd like to add to my arsenal soon. And there, my friends, are a few of my favorite non-plastic things! Do you have any essentials that I missed? Let me know! Thanks, girl! They're all great products!